Mexicans like fresh meat, explains Guadalupe Simental, the proprietor of La Carnicería 4 Hermanos at the Benito Juárez Market in Puerto Escondido. Her husband, Porfirio Mayola Santos buys a cow from ranchers in San Pedro Mixtepec, Santa María Colotepec, or Río Grande almost every day. 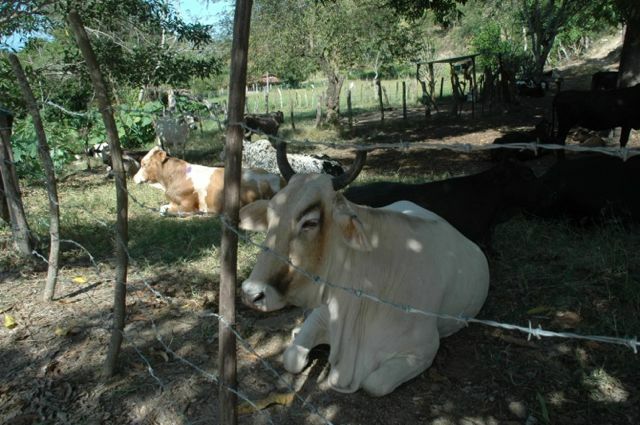 The ranches typically have 20 to 50 head of cattle; a beef cow is between 3 and 5 years old and goes for 13,000 to 15,000 pesos. The cow of the day is then brought to a man in Colonia San Miguel to be slaughtered. 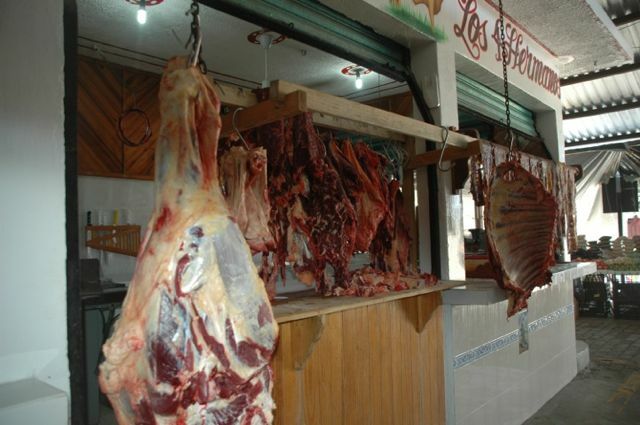 (There are no slaughterhouses in Puerto.) From there the still warm pieces are brought to the couple’s market stall where they are hung up to cool for a few hours prior to being put into the freezer. The meat is left to chill for a day before it is cut into steaks and tasajo. Every Wednesday there is a livestock market (tianguis) in La Barra de Colotepec on the road leading into the town of Colotepec. 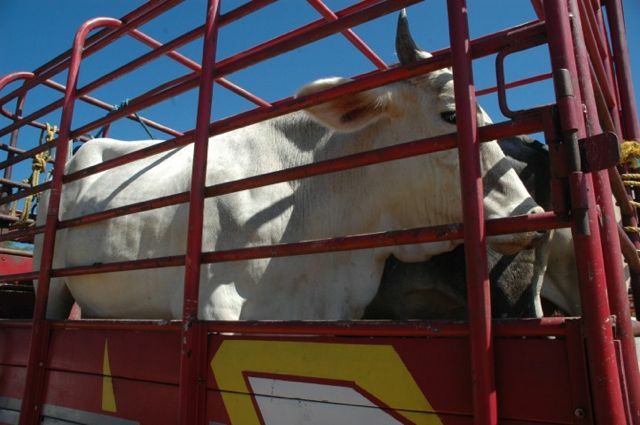 A two-year-old heifer for raising (shown above) sells for around 10,000 pesos.